One Hotel is a recently 4 stars hotel located in Dalmine, only 10 km from town center of Bergamo and the International Orio al Serio Airport; 30 minutes from Milan Linate Airport and 50 minutes from Milan Malpensa Airport. Our location is on a strategic position, infact easely you can reach: industrial and business area, Città Alta and Bergamo, amusement parks Leolandia and Le Cornelle, Sotto il monte of Pope Giovanni XXIII, QC Thermal center of San Pellegrino, San Marco’s Polyclinic based in Zingonia and the Pope Giovanni XXIII Hospital in Bergamo. On Hotel has 50 rooms perfectly soundproofed in a modern and elegant style. Moreover a meeting rooms with natural light for max 15 persons and on request video projector, flip chart . One Hotel offers free and cover carpark and a free wi-fi connection. At your disposal, even a fitness center. Every morning you will find a continental buffet breakfast. Reception open 24 hours for diurnal and nocturnal arrivals and departures. Our efficiency and multilingual staff will be at your disposal during all your stay. 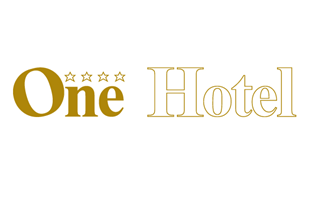 One hotel is the solution for everyone, couple’s or family's holiday, and business traveler. No CITY TAX in Dalmine.